Warehouse Location – Is it really that Important? Location, Location, Location… Is it really that important? Is warehouse location REALLY that important? We are constantly told by Real Estate companies that the three most important elements of any real estate purchase are location, location, location. But does this really hold true for industrial real estate and in particular distribution centres (DCs) and warehouses? I would like to argue… not quite! If we look objectively at a company’s needs for DCs, we should start with the premise that we don’t need any. In an ideal World, where demand is consistent and supply reliable, then by adopting a Just In Time (JIT) approach, products can flow directly from supply to customer. Sadly that ideal World does not exist, due to fluctuations in customer demand, inconsistent supply and all manner of glitches that can occur in a Supply Chain. For these reasons, we need to hold product at DCs within our Supply Chains to act as a buffer so that we can ride out these variations in supply and demand and meet our customer service requirements. I am often approached by businesses seeking assistance in designing or selecting the location for a new DC. Frequently this is due to existing facilities reaching capacity. It should be said at this point, that there are a whole range of measures and changes that can be adopted within the Supply Chain to reduce the DC capacity requirement, or indeed to better utilise the existing DC capacity, before embarking on adding more facilities to the network. But assuming that a new facility is required; is the location really that important and what drives location decisions? Given the rise in popularity of distribution parks, hubs and even logistics cities (such as in Dubai) then perhaps the location decisions have already been made? It is worthwhile to take a step back and examine, objectively, some of the key cost relationships in a network of Distribution Centres. The cost of storage rises, due to the increase in facility numbers and fixed costs. The primary transport, or linehaul cost increases, as more tonne/kms are being travelled. 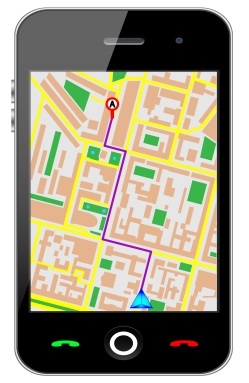 The customer delivery cost (secondary transport) reduces, as with more facilities, the distance to the customer reduces. DC systems costs increase, as more licences, interfaces and hardware may be required. So the objective within any distribution network is to find the optimum number of facilities that will reduce the total cost curve, whilst still maintaining appropriate levels of customer service. So what about the location of these facilities? What drives the optimum location? Well it is certainly not location, location, location as in the residential or retail property market. Again, taking an objective view of DC locations, we need to understand what drives, or should drive businesses to select certain locations over others. In fact the cost driver that frequently has the least impact on the total cost of selecting a given location, is land and building cost. This is due to the fact that inbound and outbound transport, as well as labour costs are a far higher proportion of the total costs of a distribution network. So the location decision process might go something like this. We have established a need for 6 DCs in the network. We have established that one of these of a certain size, is required to be located in city X. Given the choice of a number of locations in city X that all meet the required location characteristics, the specific choice of one location over another is often not that important. This is because land and building cost will often have a much lower impact on the overall cost than those costs driven by the supply and demand profile. As an example, I was recently involved in the DC location decision for a large company that operates a fleet of some 400 delivery vehicles from one site alone. They needed to move to a new purpose built larger facility. The choice of a range of potential facility locations had a massive impact on delivery transport costs. Imagine moving to a location that was 30 minutes further away from the centre of gravity of demand? A fleet of 400 trucks would now be driving an extra hour per day. That could actually increase fleet costs by at least $3.6 m pa. So when selecting the location of Logistics facilities, are the three most important elements location, location and location? No. Well not in terms of a specific location. But given a range of locations that all meet the needs of the business, such as access to customers and resupply, access to highways, ports and the like, then the costs of land and building of one location compared to another can start to be important. Perhaps the three key elements should not read location, location, location, but lowest overall cost, best overall service and access to the right infrastructure? Hi Hendrica, I’m a consultant / trainer, and whilst I have managed many warehouses in the past, I don’t anymore. But if you send me an email I’ll see if I can assist you in suggesting who to approach.